Warning: if names like ‘the War Boys’ and ‘Imperator Furiosa’ mean nothing to you, you’ve obviously not seen ‘Mad Max: Fury Road’. Get a copy and watch it (make sure the sound’s up) before you read ahead. 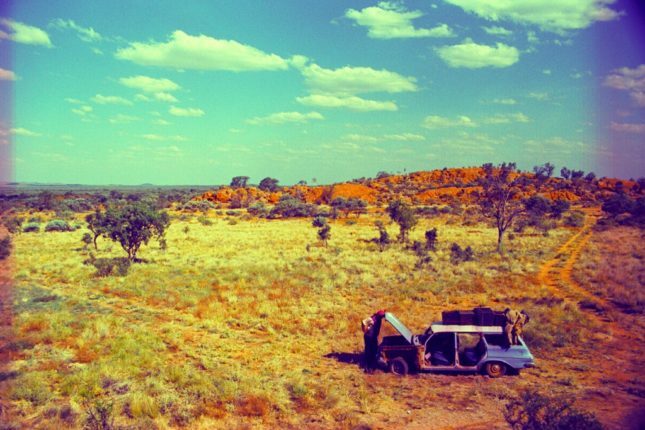 Ask a hundred people to name an Australian road film and at least ninety-nine will answer ‘Mad Max’. But while the first three instalments in the series were shot near Broken Hill and starred local talent Mel Gibson and a host of other Australian actors, the latest in the franchise appears at first glance far less home-grown. In Fury Road, Englishman Tom Hardy replaced Gibson as Max Rockatansky and the desert of Namibia replaced Broken Hill as the setting. The popular and critical success of the film did a lot to silence any complaints that the series was becoming ‘too Hollywood’, which were possibly unfair in the first place – Namibia was only selected after it became apparent that the Broken Hill area had become far too green to represent a post-apocalyptic wasteland, and Mel Gibson might not have been as convincing a hardened road warrior as he was thirty years ago. But there’s still plenty about Fury Road that’s Australian – from George Miller himself (who directed and co-wrote it) to much of the supporting cast and the crew. And, of course, there’s what many consider to be the real highlight of the movie: the vehicles. The vehicles had to have some ‘inherent beauty’. Why else would the War Boys salvage them? Although most modern vehicles were excluded using these criteria, the team was still left with plenty of choices, and if you look closely at the cars in the movie you’ll recognise Australian classics like the Holden Monaro, HZ Ute, Kingswood, and FJ Ute and the Chrysler Valiant Charger. Gibson estimated that 85% of his vehicle parts were sourced in Australia, while he had to turn to the United Kingdom for larger parts (like trucks and rocket launchers) and the United States for a few hard-to-find pieces like the two 1959 Cadillac Coupe de Villes that made up Immortan Joe’s version of a presidential vehicle. The results are stunning. Click here for a gallery of some of the most extravagant of Gibson’s creations. Which are your favourites? I loved the concept of the ‘Gigahorse’, Immortan Joe’s double-Cadillac double-turbocharged-V8 obscenity: in a world of desolation and scarcity, the tyrannical villain gets two of everything. But for sheer looks, I’m nominating the ‘Big Foot’, a Second World War-era Fargo pickup with ridiculous 66-inch wheels. 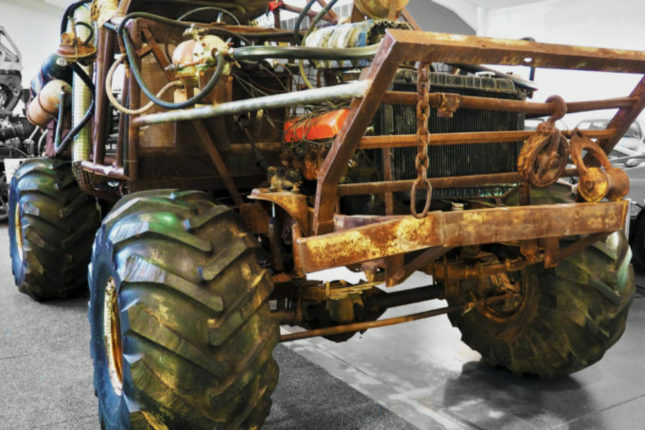 And, incidentally, the National Motor Museum has just welcomed another ‘Big Foot’ to our galleries – the one driven by Angry Anderson and Tina Turner in Mad Max: Beyond Thunderdome. Though it pre-dates the Fury Road vehicles by around 30 years, it really shows how consistent the style has remained in a franchise now almost 40 years old. And the tyres may be shown up by the 2015 ‘Big Foot’, but I can guarantee it’s still extremely impressive in real life! 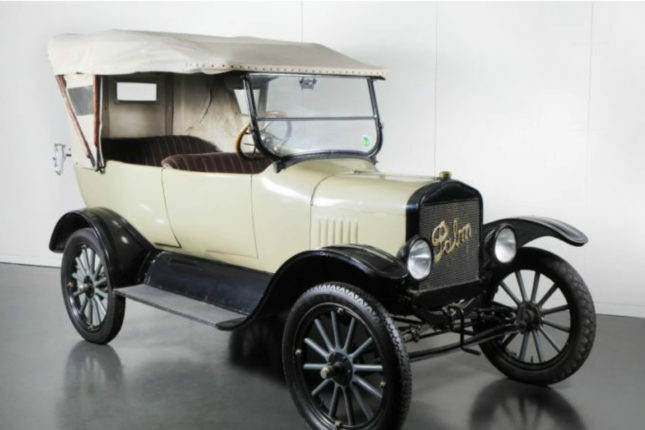 ‘Big Foot’ will be on display in the National Motor Museum’s Pavilion of Australian Motoring throughout 2016.